Nothing promotes a healthy lifestyle like a good nights sleep. 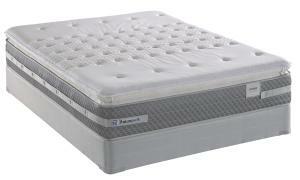 If you are sleeping on a old sagging mattress, chances are that you are not getting a restful night sleep !! Start your year off right with a new mattress from Springfield Furniture Direct. We have styles for everyone, at prices that are far below typical retail store prices. Stop in today let us find you the perfect mattress so your New Years resolution to have a great night sleep every night will come true.